It's no secret that the mainstream media largely dislikes Donald Trump. 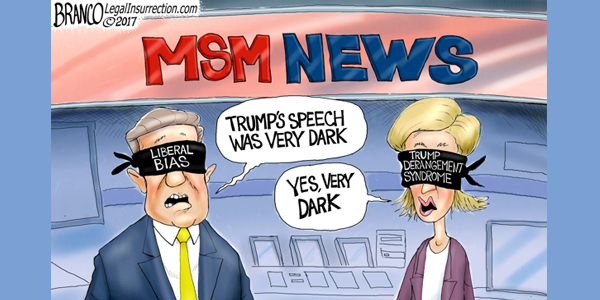 Dubbed the "opposition party" by former Trump chief strategist Steve Bannon, outlets from CNN to MSNBC to the Washington Post and beyond have made minimal efforts to hide their bias against the President. And now - as columnist David Harsanyi notes in the New York Post - the MSM has resorted to pedantic fact checks of Trump's State of the Union address that make them look as desperate as they are biased to in their efforts to bring Trump down.